It’s New Music Thursday! More New Songs and Artists Added to the Pure Pop Radio Playlist! Welcome to another round of new songs and artists that have been added to the Pure Pop Radio playlist. 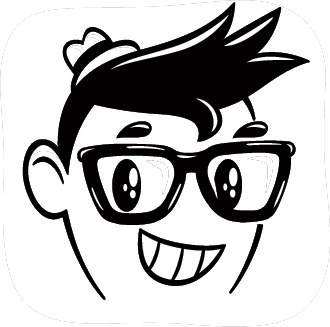 We know you’re going to love what we’ve got in store! 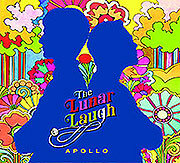 T he Lunar Laugh | Apollo Last Wednesday, we added this album’s title song to our playlist. Of “Apollo,” we said it’s a “lovely slice of pure, melodic pop…” We say the same thing about the rest of the songs that Connor Anderson and Jared Lekites have written for this melodic masterpiece. Not only will you love the originals, but you’ll hug tightly the cover of Mike Nesmith’s “Some of Shelly’s Blues,” which Jared has been performing live since 2008. We’re playing nearly every song: “Man Against Man,” “Winsome,” “Apollo,” “On the Road,” “When I’m Alone,” “Bottom of the World,” “The Way I Roll,” and “Some of Shelly’s Blues.” Pretty spectacular, folks. Kenny Herbert | “My Favourite Everything” With a vibe that harkens back to to the sound of the fabulous fifties and early sixties, Pure Pop Radio favorite Kenny Herbert delivers another in a series of standout tracks stacked high with catchy melodies and joy. Glorious background vocals and a groovy guitar solo are but two highlights in the soundfield of this great number. Cheers, Kenny–you’ve waxed another winner. 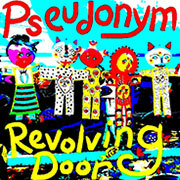 Pseudonym | Revolving Door So here is this week’s find: a fine and fit-as-a-fiddle outfit featuring Paul Desjarlais “and other real or imaginary people,” according to Paul, who ought to know, we guess. In any case, it’s pretty great stuff, these songs, full of great melodies and playing and vocals. The whole shooting match, in fact. We’re playing “Long Goodbyes,” “Better,” “Fill Up the Sky,” “Elevator,” “Caught on Fire,” “Idora Ave,” a cover of the great Paul Simon song, “The Only Living Boy in New York,” and “Want You More.” Speaking of “more,” that’s what we want. 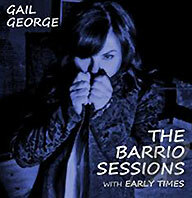 Gail George | The Barrio Sessions with Early Times This intimate, relaxed album from 2014 features the lovely songs and vocals of Gail George, who recorded in New York’s East Harlem. We love the soft-sounding vibe of three entries: “Nobody’s Friend,” “Walk Away,” and “You Are There,” which we are now playing in rotation. Dana Countryman | “Thrill Me (2015 Remix)” This sparkling remix of a great song from Dana’s smash 2013 album, The Incredible, Fantastic Retro Pop World of Dana Countryman, features the artist playing piano, bass, guitars, drums, percussion, and horns; dig, too, the groovy electric guitar work from Klaatu’s Dee Long, and luscious vocals all around. Mastered by Rick Fisher at RFI Mastering in Seattle, this is, well, masterful. 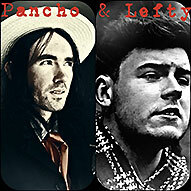 Adam Walsh and Colm Gavin | “Pancho and Lefty” Here’s a fine, tuneful cover of Townes Van Zandt’s classic song from the always-wonderful Adam Walsh and fellow musician Colm Gavin. We love the melodic guitar work, and the vocals are pretty terrific, too. Now playing in rotation. 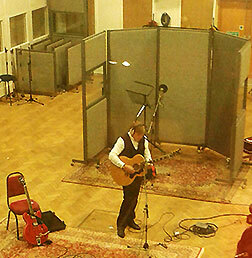 That’s it for today–short and sweet and lovely all around. We’ll be back soon with more new songs and artists added to the Pure Pop Radio playlist. Until then, click on one of the listen links below and take in the sounds of the greatest melodic pop music in the universe! This entry was posted in New Songs Added to the Playlist! and tagged adam walsh and colm gavin, alan haber, dana countryman, gail george, kenny herbert, new music added to the pure pop radio playlist, pseudonym, pure pop radio, streamlicensing, the lunar laugh. Bookmark the permalink.